Ok, so now that we got the really easy answers out of the way, I'll try to tackle a few more. I've pulled out all the travel related questions and answered them here. Should you not care about this at all, stay tuned for another installment answering questions related to the renovation. Sarah Marie said... You do so much travelling to truely amazing, wonderful places. Is this business travel? Or do you and your husband just like to travel for fun? I love to travel and would love any tips if you have them about how to travel affordably...do you book your travel online and have any great sites that help save money when booking? All of the travel you see me post about is leisure travel. (If I were working, there would be no opportunity to do anything blog worthy as all I'd see is the inside of an office building.) So yes, we love to travel for fun. One way we are able to hit more destinations is that our trips tend to be on the shorter side. Its a lot easier to bring down the total bill of a trip when you only stay a few days versus two weeks. Ideally we'd love to stay longer but we have limited time and resources so opting for more frequent, short trips allows us to be more spendy in our accomadations. And while I know that may not be appealing to all, it works for us. We often tend to travel in off or shoulder seasons to take advantage of any deals that might arise. We do book almost all of our travel online after a bit of research and comparision shopping. Pre trip I do loads of lurking on the travel message boards and guest review sites like tripadvisor but I almost always buy a real paper guidebook. I just like having something to refer to that doesn't require an internet connection. Melanie said... What place did you use for your frequent flyer miles? We use American Airlines (or their partner airlines) almost exclusively. Doing so makes a real difference in how many miles we accrue and how we are able to use them. vanessa said... How do you decide where to travel to next? How do you recover from such quick trips? Do you have a car, if not how do you get your groceries home? We usually have about 10 places we'd love to travel to at all times. So when an opportunity arises to visit one of those locales, we like to jump on it. But its always a tough decision - the world is far too big and there is far too little time to go everywhere we dream of. Jet lag is definitely a problem and as we've gotten older, it only gets more difficult to bounce back. Sometimes no matter what you do to avoid the side effects, you just can't beat your internal clock so we're a bit tired for a little while longer. Not fun but not a big deal really when you consider how much fun the trips are.  I do not drive but Mr. Limestone does and we do own a car. But groceries don't require a drive - our grocery store is around the corner! Jen said... Where do you think your next trip will be? Well, I know where my next trip will be as we have already planned it along with a few others this year but Ill keep that as a surprise. I don't like to jinx my vacations :) As far as where I'd like to go that I haven't already bought a ticket for? I'd love to go to Isreal and Jordan. The middle east is very fascinating to me and I've never been. We've never been to Australia or New Zealand so maybe we'll get an opportunity to do one of those in my lifetime. Seeing the aurora borelis at the north pole or the emperor penguins at the south pole both sound pretty amazing. In terms of closer destinations I'd love to go to Montreal. Really, I could make this list pages and pages long. I pretty much want to go everywhere. littlealexa said... Have you visited Chicago? Naz said... How many states have you visited in the USA? Mr. Limestone has been to a lot more states than I have for a variety of reasons. So Im going to just answer for myself. I've been to 24 states if I include NY and exclude anyplace I just passed through. If you are curious those are: Alaska, California, Connecticut, Delaware, DC, Florida, Hawaii, Maine, Maryland, Massachusetts, Minnesota, Nevada, New Hampshire, New Jersey, North Carolina, Ohio, Pennsylvania, Rhode Island, South Carolina, Texas, Vermont, Virginia, and Washington. I think that was all the travel questions that were posed. Since it was suggested to me by some very nice readers, I'm going to do some more deep dive travel posts in the future. But if there is anything else you would like to know, just ask. I always love the pictures from your fabulous trips. I love that your trips always seem to be short and sweet. From the outside, it looks like you have a very beautiful life ~ travels, adventures and a stunning home. I've enjoyed reading all about it! Looking forward to the renovation questions - all your hard work has really paid off. A friend of mine has been to Jordan and said that Petra is one of the most beautiful places she's ever been. And she came back with killer gemstones! A friend of mine tells me that all roads lead to Oprah, I can see you on her show - you have so much to share. Love you ability to find the beauty where ever you roam. Pardon my spelling, I meant to say "your" - in the above , not you. Because I am addicted to traveling myself... (and am going to Peru in day!) I love your post! It makes me so happy to hear about other people's travels! Thanks for sharing! learned, or you just don't like to? Hey Stefanie (love your name - hehe): I did learn, have a license but I don't like to drive. So I haven't been behind the wheel in more than 10 years. Living in NYC makes it very easy for me to avoid it. I'm heading to England in April...have you been there? Any suggestions on whats great?! Thank you for answering my questions, along with all of the others too! Love hearing about your travels and how you make it all work! P.S. I noticed that in the list of states you've been to, Tennessee is not one of them. I highly recommend a visit to Nashville! :-) It's a wonderful city, if I do say so myself! Lots of interesting Southern history, awesome food, and cool music! Hi Melanie - Sorry, I misunderstood your question. We don't have any miles that are expiring but we did use some miles to fly first class to Hong Kong last year. It was fab. Steph, That's okay. I laughed when I read the answer. I thought on Twitter that you said the miles were expiring and you didn't know where to go. That is why I asked where you were going. Should have visited Bratislava when you went to Budapest. I'm new to this blog (saw you on the Nate Show) and got curious so I started to explore the site, mainly to get renovation ideas. However, I really like the travel posts! I haven't seen any posts about travels to Canada (maybe I haven't dug deep enough??). But I highly recommend it! Canada doesn't get quite the kudos it should. My husband and I have done a lot of travel to Canada and have thoroughly enjoyed each trip. It's kind to the US dollar, has easy access, and even though it's in NA it has a foreign country feel (I mean that in the best possible way)! My favs: British Columbia, Maritimes, Niagara on the Lake, and Quebec City just to name a few! Happy travels! I just read your guest post on From India. With Love. Your photos are wonderful, and I see that you also shoot with a D90. I love taking pictures during travel but I find carrying the D90 in my bag can get tiring and kills my shoulders. How do you deal with carrying around a heavy(ish) camera while traveling; walking around, flying, etc? Hi , love your blog. We will be going to Hong Kong in a few weeks. Do you have any suggestions for where to go? Most importantly, I'd love to know what camera and underwater camera you used to take most of these shots? I use a nikon d90 usually. In Australia we used a little canon point and shoot for underwater and I did not think it was anything great. Yes, I do find it annoying to carry but so is a purse. I usually leave the purse behind and take the camera. So do you book your flights through American Airlines? What about hotels? Research and then book directly? Do you use an online travel agency? We are planning our first trip to Europe, and any advice would be awesome!! We pretty much do everything online ourselves after comparing prices. The only exception is when the travel is a bit more complicated like in Africa where we have used a speciality travel agent.